Experience Madrid with the convenience of your own private guide and private luxury vehicle with chauffeur. Customize your tour based on your interests on this 4-hour tour. Skip-the-line at your choice of a major monument or museum. 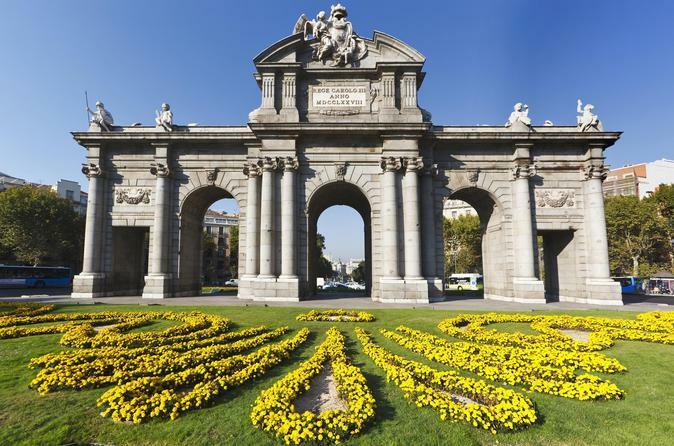 Choose this personalized tour in Madrid and customize your visit based on your interests. Begin this 4-hour tour with pickup at your hotel or designated meeting place by private car and chauffeur. Head to the Plaza de España and go through the Barrio of La Moreria. Explore the city with a private guide. Visit the Plaza Mayor and Plaza de la Villa. Admire the beautiful architecture of Madrid. See the Cibele's Fountain and the famous Alcala Gate. Continue to Gran Via, Paseo de la Castellana, Plaza Colon and Parque del Retiro. Take advantage of a skip-the-line entry to one of the famous monuments or museums that is included in your tour. Return to your hotel at the conclusion of the tour.